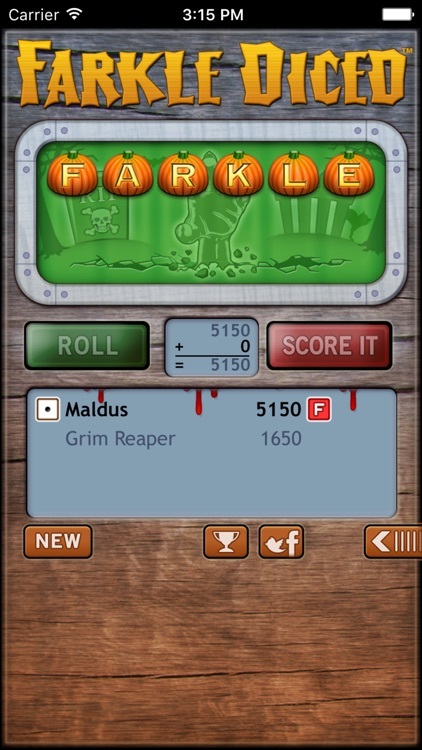 Farkle Diced - Halloween edition, includes ghoulish artwork, eerie sound effects, and scary surprises. Are you prepared to be haunted this Halloween by the undead? Farkle Diced for Halloween is an exciting fast paced dice game for 2 – 4 players. The goal is to survive until your reach 10,000 points. 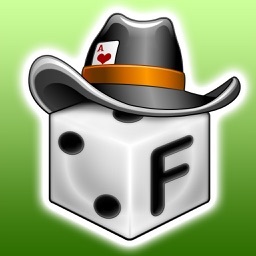 You can try to beat the computer players or your friends. You'll have hours and hours of wicked entertainment. 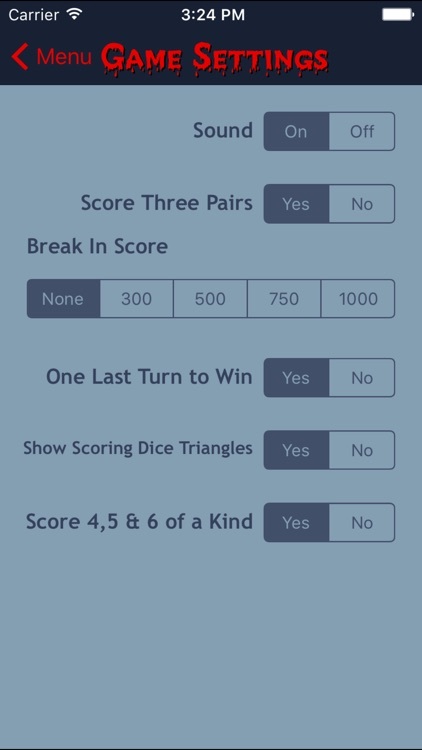 Both new and experienced players will love the clarity of the playing board and how quickly you can finish a game while in a meeting (before someone notices). If you do play in a meeting, turn the sound down as the there are lots of screams and howling in the game. Then after the meeting, turn the sound way up to fully experience the spookiness. Achievements, achievements, achievements! 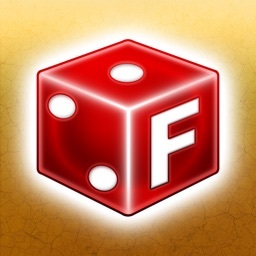 You are now rewarded for that fantastic roll or super win. You can view the list of achievements through the Settings menu (Select Game Center). There are two mystery ones - can you discover what they are? 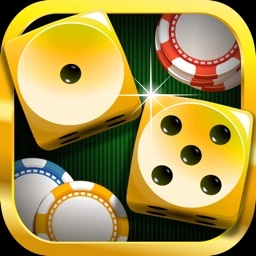 • Earn Achievements through Game Center. Q. 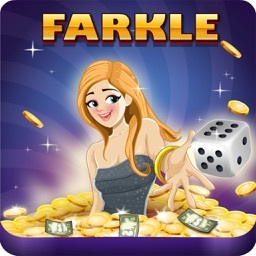 How do you play Farkle Diced? A. 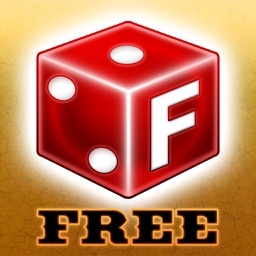 The rules can be found by tapping Settings then How to Play. Q. 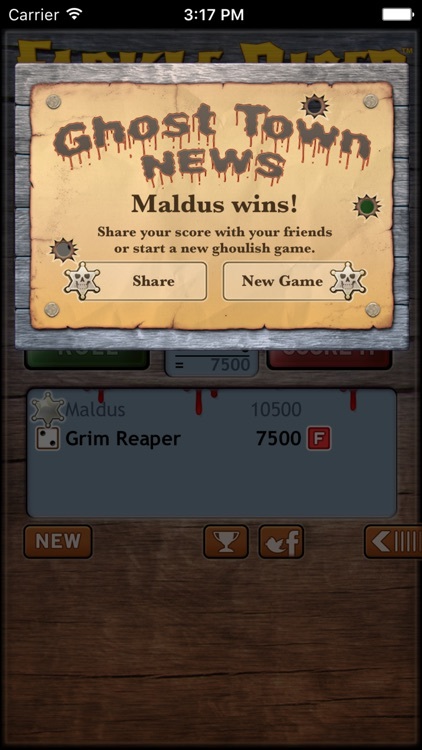 How do you beat the AI player Count Dracula? A. Drive a stake through his heart. Q. I don't want to earn achievements, how do I turn them off? A. 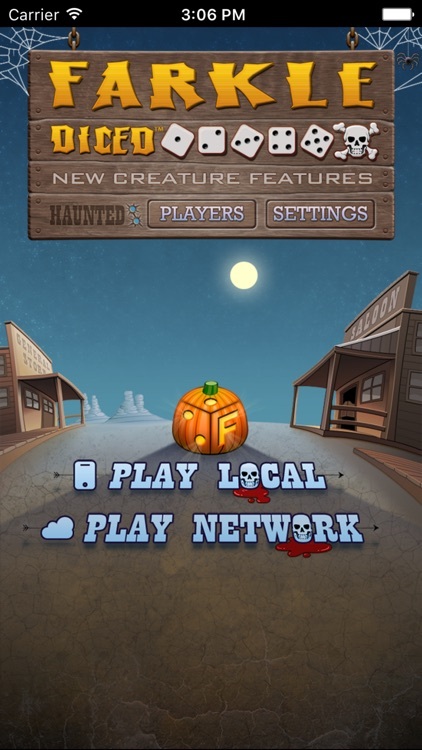 Select Players from the title screen, then turn off connecting to Game Center. Q. The game scares me, how do I prevent nightmares? A. 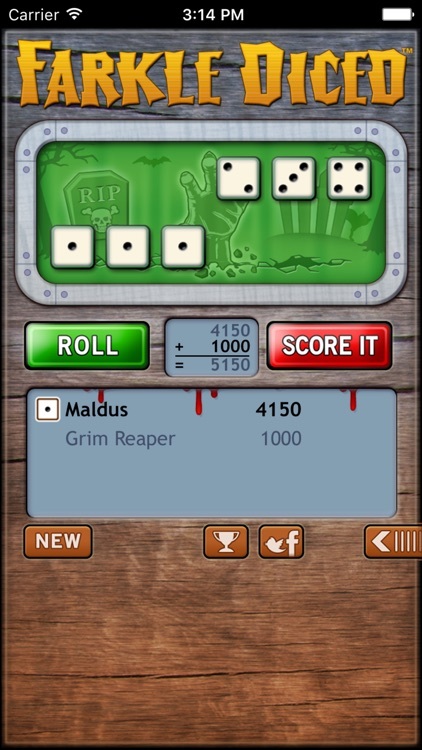 If you win, the AI players will leave you alone in your sleep. If you experience any problems, please email our team and we will investigate the problem right away. 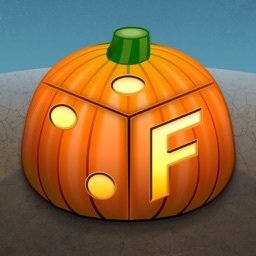 We hope you have as much fun playing this special Halloween version as we did creating it.